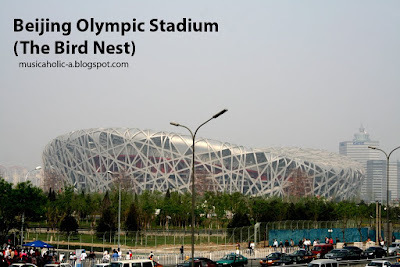 When the school announced that we were (finally, after being delayed for some time) going to visit the Olympic’s “bird nest”, I was jumping with glee, like OMG finally can see the famous nice olympic bird nest!!! 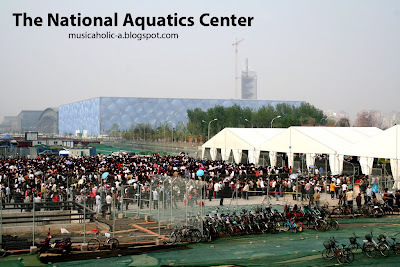 Although we were going to see it from the OUTSIDE since we couldn’t go in, nevermind la. At least still can see from UP CLOSE. 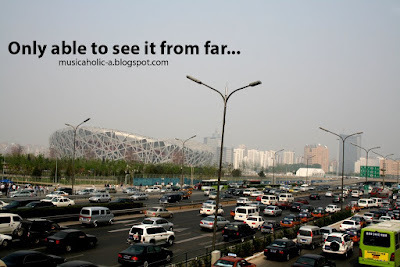 And so, last week we went to see it…from OUTSIDE. And when they mentioned OUTSIDE, I was thinking of OUTSIDE as in just OUTSIDE the entrance or something. 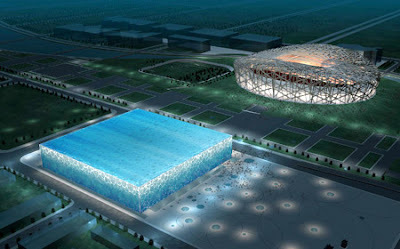 What will you have in mind if they said they will bring you to see it from OUTSIDE? 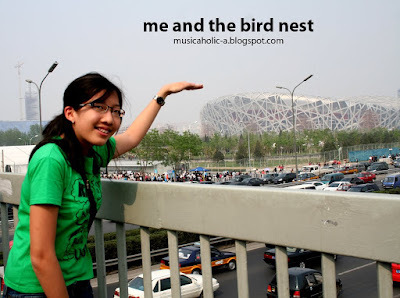 …I couldn’t see any sign of the bird nest! “Yui, 鸟巢在哪儿呀? 看不见!” , me said. Yes, you were reading it correctly. 20 freaking minutes! I was like huh? 20 minutes enough to visit it mehh? What is happening there? So freaking many people….